A military fortification built in 1848 on the ruins of a previous fort San Antonio. Castillo Salgar has served many purposes since then. Some of them being a military fortification, a prison, an institution for disabled and a university of arts. Its architecture is distinctively colonial with vast corridors and archways. The construction is mainly defence oriented although some minor modifications were added later. Today the place hosts a classic restaurant and an art gallery. There are cultural events that are performed there which can be attended with family and friends. Prices depend on the event being attended. Located 15 kms north of Barranquilla. Taxi would cost around 20000 to 25000 pesos. How popular is Castillo De Salgar? 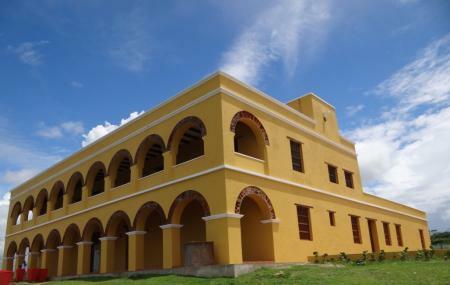 People normally club together La Troja and Bocas De Cenizas while planning their visit to Castillo De Salgar. Beautifully preserved castle on a very photogenic landscape. A must go attraction for any tourist. Good higher class food inside the restaurant as well. Great place by the sea. Restaurant opens only on weekends. Very windy. this magical place is part of the history of the city, built on a cliff in this place the sunsets will leave you without sighs.